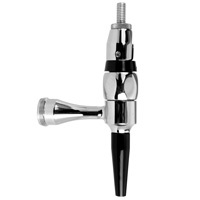 To achieve the proper head when pouring a glass of Guinness® requires the use of a specialty European stout beer faucet. 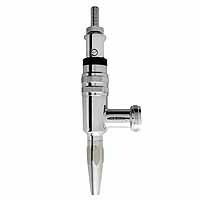 The faucet features a restricted spout with a tiny disc inside that helps to slow down the flow of beer for proper pouring. 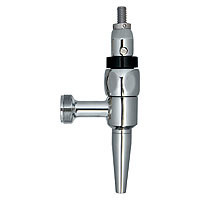 To pour regular beer with this faucet, simply remove the restrictor disc.